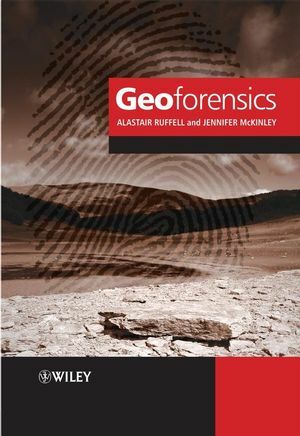 This book is a comprehensive introduction to the application of geoscience to criminal investigations. Clearly structured throughout, the text follows a path from the large-scale application of remote sensing, landforms and geophysics in the first half to the increasingly small-scale examination of rock and soils to trace amounts of material. The two scales of investigation are linked by geoscience applications to forensics that can be applied at a range of dimensions. These include the use of topographic mapping, x-ray imaging, geophysics and remote sensing in assessing whether sediment, rocks or concrete may have hidden or buried materials inside for example, drugs, weapons, bodies. This book describes the wider application of many different geoscience-based methods in assisting law enforcers with investigations such as international and national crimes of genocide and pollution, terrorism and domestic crime as well as accident investigation. The text makes a clear link to the increasingly important aspects of the spatial distribution of geoscience materials (be it soil sampling or the distribution of mud-spatter on clothing), Geographic Information Science and geostatistics. Dr Alastair Ruffell, School of Geography, Archaeology and Paleoecology, Queen's University, Belfast, UK. Dr Jennifer McKinley, School of Geography, Archaeology and Paleoecology, Queen's University, Belfast, UK. 4.11 Long-distance LIDAR (satellite, aerial). 4.13 X-ray imagery, X-ray tomography and neutron activation. 4.14 Field Portable X-ray Fluorescence (FPXRF) spectrometry. 6.2 Sampling for geological materials at urban and non-urban crime scenes. 6.9 Comparing ‘like with like’. 7.2 Hand-specimen analysis case studies from Murray and Tedrow (1991). 8.6 X-ray diffraction and trace evidence. 9.2 Possible methodologies for non-urban underground searches.